Question: I was told by a feng shui consultant that it is good to do some smudging in my house. From the little I know, smudging is not easy. What is smudging and what does it have to do with feng shui? Can I do something else for my house that works like smudging? Answer: Yes, smudging a home is always a good idea. One can also smudge a person or an item. Many people are not comfortable with the idea of smudging, either because of the scent or because of the actual smudging procedure. In order to know if smudging is something you would like to use in your home, let's first have a look at what smudging is and what it actually does. The term smudging is not a feng shui term. It comes from the Native American healing and shamanic traditions of working with energy. 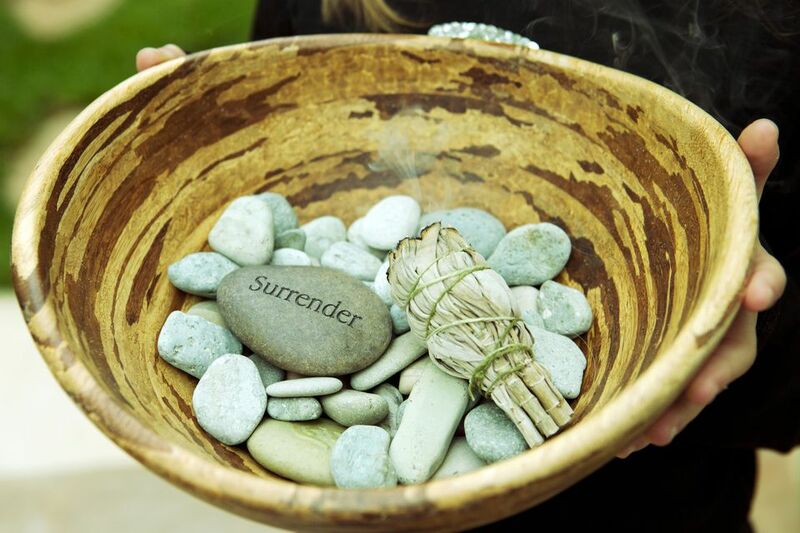 The most common herb used in smudging is the white sage; this is the scent most people associate with smudging. Sweatgrass and cedar have also been traditionally used in smudging ceremonies. It is important to understand, though, that every culture has its own way of smudging - of using various herbs for clearing energy. So, to focus on the fact that feng shui (which originated in China) uses smudging (a Native American ceremony) is to miss the main point - the point of healing one's being on all levels - physical, emotional and spiritual. Smudging originated from a deep understanding of the way the energy works. Because energy is in constant motion, its positive and negative polarities can be easily guided with skillful tools and intent. Powerful herbs are one such tool. In burning sacred herbs, the powerful energy of fire unleashes the potent healing energy of the plant to neutralize and purify any negative presence. This can be the negative energy in a place, such as a home, an office, or even a piece of land; or the negative energy surrounding a person, be it in thoughts, emotions, or actual manifestation as physical symptoms. Smudging is usually done by lighting the tip of the smudge stick with a candle light, then gently waving it in the air till the tip begins to smolder. You can then guide the smoke coming from the smudge to specific parts of your house, or parts of your body. One needs a container for the smudge stick to keep the process safe. Another way is to burn various resins, such as copal, myrrh, frankincense or piñon (you can buy these resins at most new age bookstores or on-line). In feng shui, smudging is most often used as part of space clearing sessions, which you can have as often as every week (simple space clearing), or several times a year (major space clearing).